1939 Chevy Woody by Boulevard Resin. 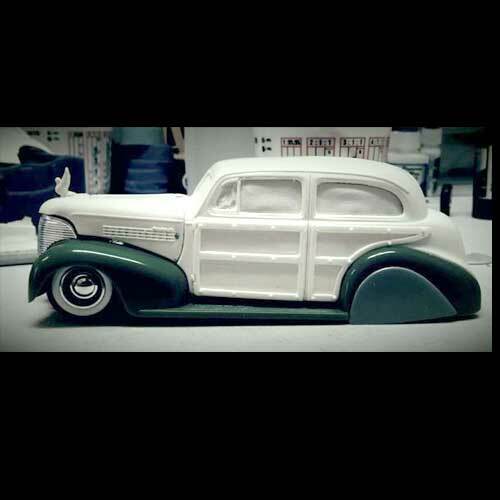 1/25 scale resin 1939 Chevy 2 door sedan woody. Use a Monogram 1939 coupe as a donor to complete with an engine and undercarriage and chrome accents. May need some sanding and prep work, as most resin kits do. Convert that boring 1939 coupe into a sweet ride! Body includes interior tub, front bench, and full hood.